I am a green-eyed monster. Literally. 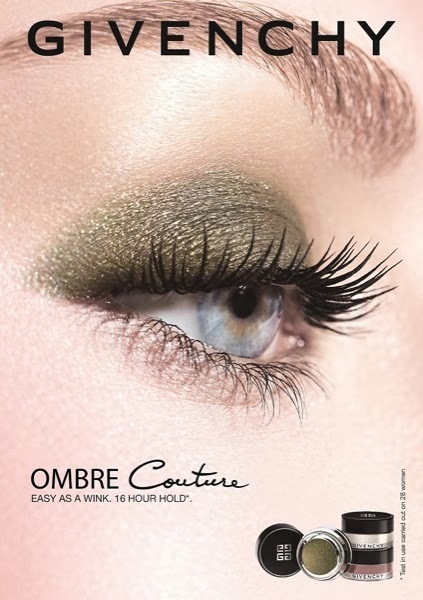 I have green eyes that vary from very green, to grey-green, to goldy-green. 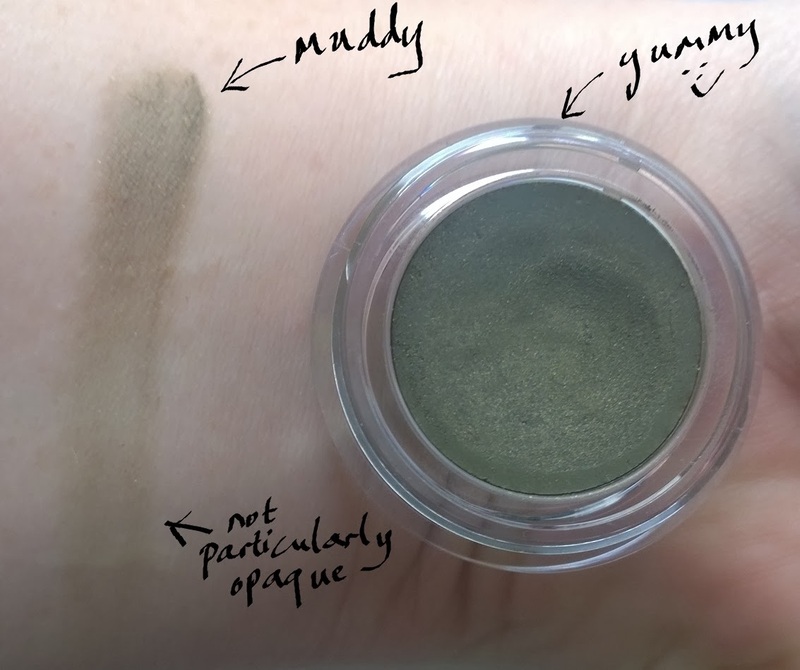 I wear a lot of olive, khaki and blackened/antique gold shades of liner (and some rather lovely eyeshadows too – LINKS to Ken Boylan and olive liners?!). While in Sephora recently, this was calling out to me. The campaign visual just looked so damn tempting. The reality however, was, well, for me anyhow, a bit disappointing. This is a cream eyeshadow and it’s nothing like the visual in the flesh. 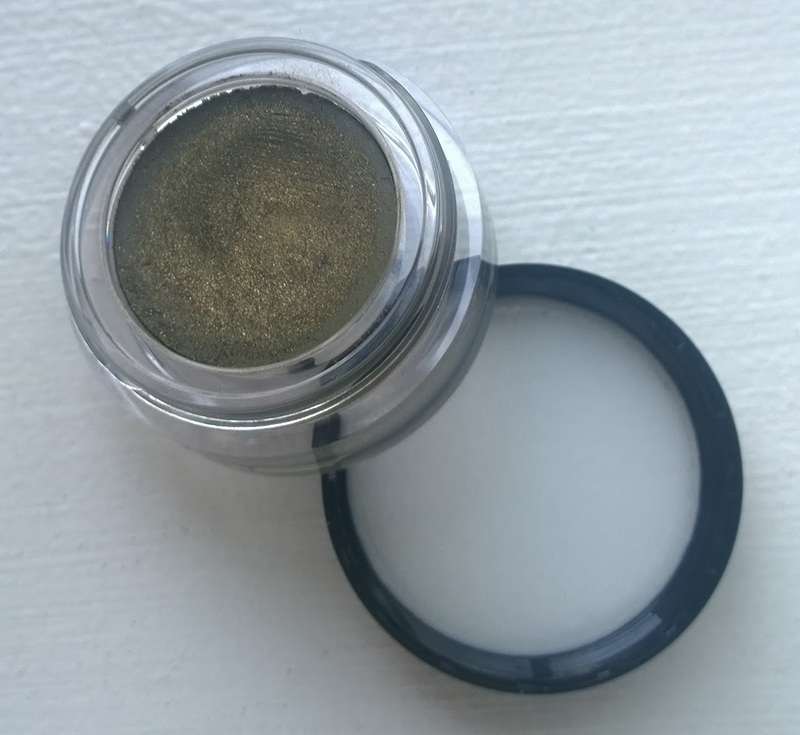 In actuality, it's a muddied khaki green, unlike the campaign pics, or the product in the pot itself, both of which seem to suggest more of a goldy-olive shade. And it’s quite disappointing because it’s really too muddy – it’s so muddy that it’s really neither here nor there, even with one of my lovely golden-olive greens pressed on top, it still manages to look muddy. WTAF. I mean, really. What I did like about this. The texture – it’s a particularly silky cream shadow. What I didn’t like – aside from the shade, forget about that for now (there are other shades in this range/collection if you’re interested) was just how much it really does need to be built-up, quite considerably, before it can be considered opaque. Not so pigmented then. 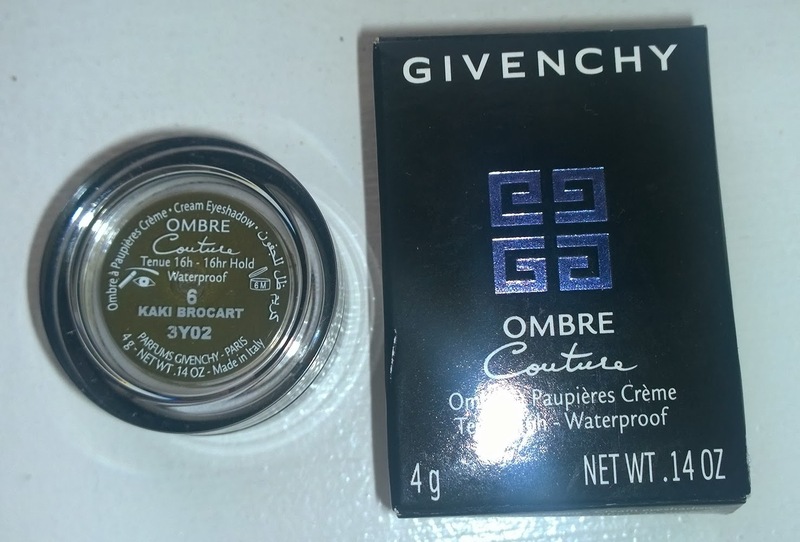 This one takes a bit of work; when I wear a cream shadow, it’s usually because I don’t have much time for faffing around, and this defeats the purpose (for me, personally anyhow). Lastability-wise, it stayed put about three or four hours, at which point I noticed bunching and creasing – general typical cream-shadow type artifacts, and quite considerable fading, which surprised me – back to: not so pigmented then. Overall, disappointing entry into the cream shadow market. It won’t tempt me away from my Chanel Illusion d’Ombres (for my more ethereal cream shadow looks) or my MAC/Make Up For Ever/Shiseido variants (for more intense cream shadow looks). Keep your money.